Is Your Team Inspired By How You Give Back? When we walked in there was a large plexiglass sign where they hand wrote with large black markers all the charities they (the company and visitors) were supporting this year. It said: What are the ways you are giving back this season? Write a charity or cause you support. It was inspiring to read, and served as a reminder that having a larger purpose in business and life is powerful. It answers the “why” question. What is pulling your team together? Is your company seen as a force for good? How is your company giving back to the community that supports it? It is not enough to put the company’s donation amount on a line item in your “open book profit/loss statement”, though that certainly helps! Any initiative worth doing, including giving back, is worth doing in a BIG way that pulls the team together. 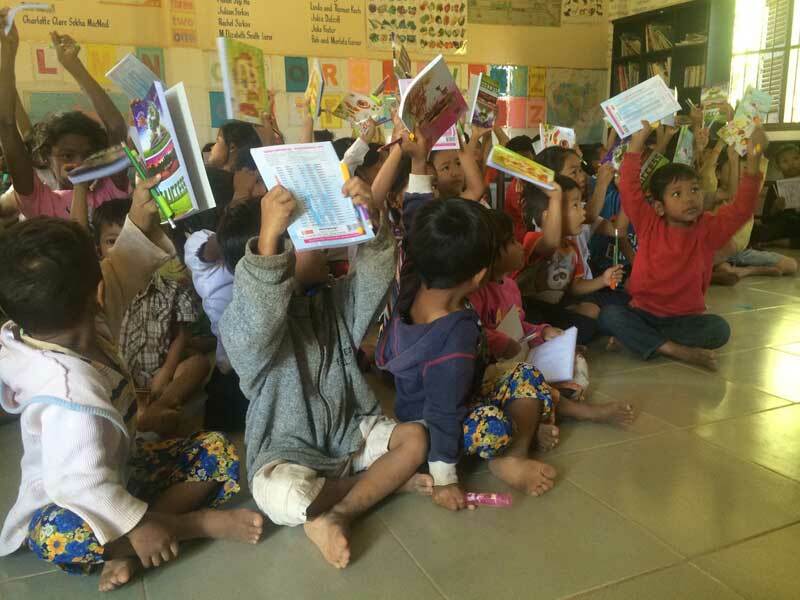 An orphanage in Cambodia that my family visited and supports with school materials. Your Challenge – Make the topic of “giving back” part of your leadership team discussions and strategic planning. Be visible, vocal and inspiring in your larger purpose. And enjoy the process, because it feels good. I highlight on my website here the causes we support, both our own personal causes and those of our clients. How about you? No matter your situation in life, if you look up and dream big you can provide hope for others, and that can be your biggest gift of all!